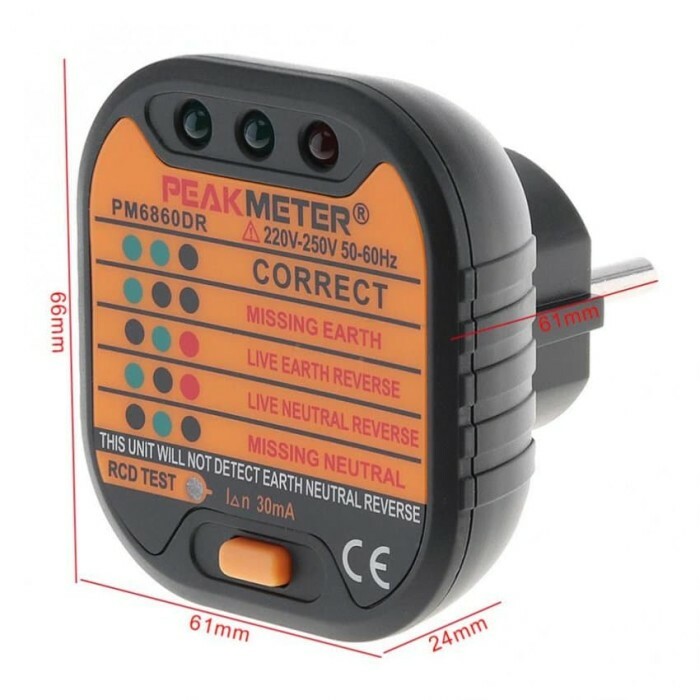 Detail Produk "Socket Tester Uji Kelistrikan Grounding Meter 220V PEAKMETER"
Alat untuk mengjuk jaringan listrik rumah. 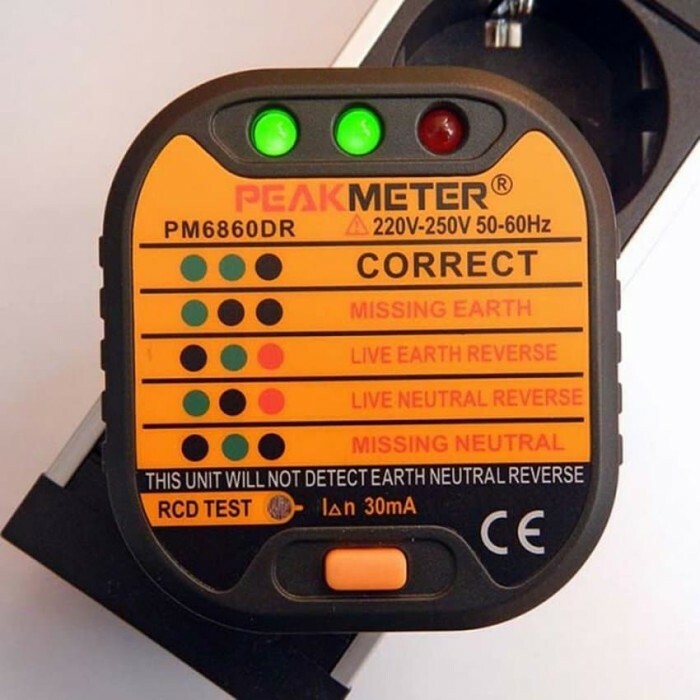 It is a socket tester which rapidly detect whether the socket's wire connection is correct or not. With RCD test function, it is more practical. 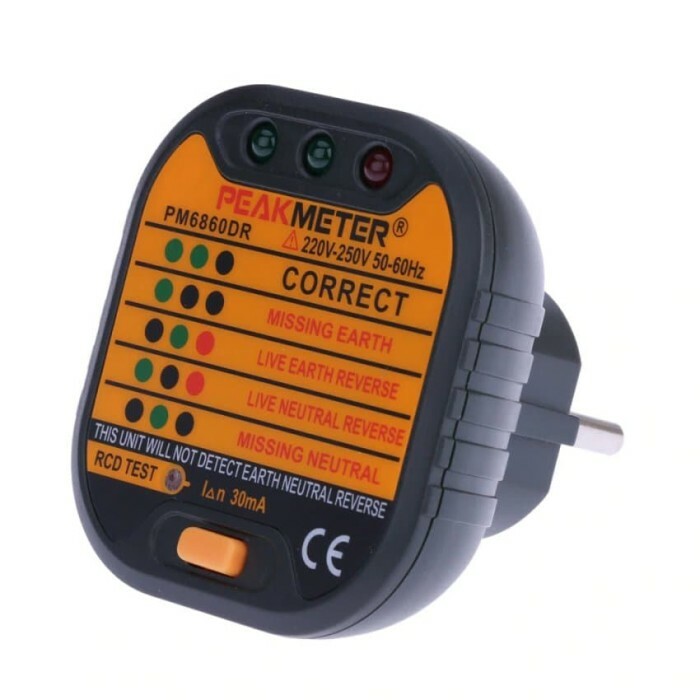 The product is a socket tester which rapidly detect whether the socket's wire connection is correct or not. 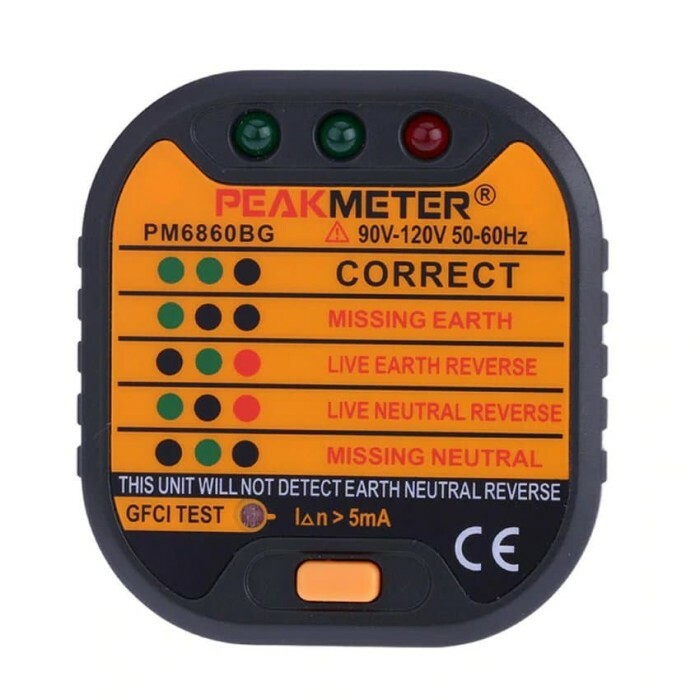 It is used to detect whether neutral, live and earth wire is connected correctly and to indicate which wire is missing. With RCD test function, it is more practical. 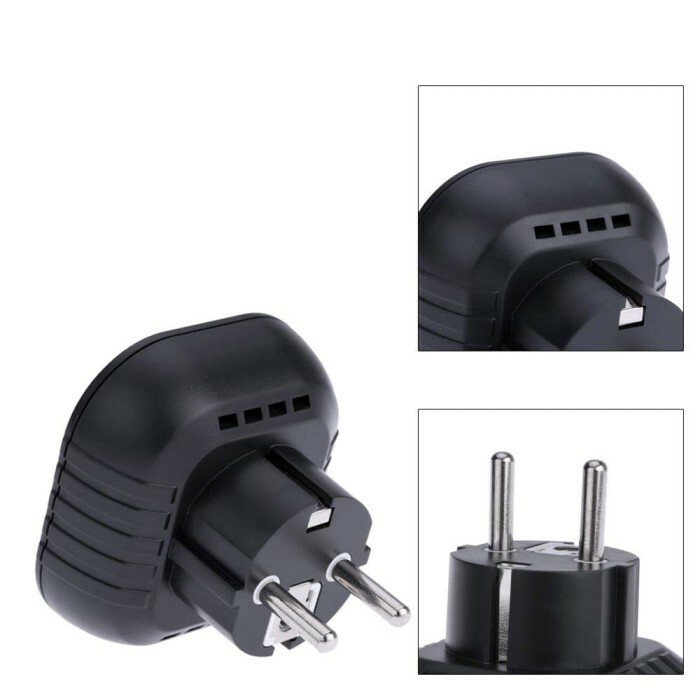 Several indicators to indicate the state of the socket, easy to judge. © Copyright 2019 - aganshop.com - All rights reserved.